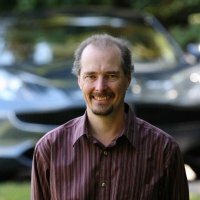 Author Patrick Foster has written numerous books on almost all the independent U.S. automakers that have disappeared from the scene including Packard, Studebaker, and AMC. Klingberg Vintage Motor Festival Director Mark Johnson will talk about plans for this year’s event including participation again this year by Wayne Carini, as Grand Marshal. Each Speakers Series event will include a technical session hosted by restoration expert and historian George Dragone focusing on one aspect of classic car preservation and maintenance. The January 30th seminar will feature representatives from New England Dry Stripping of Trumbull, Conn. providing tips and insight on their area of expertise. Tickets for each event will be $15 per person and can be purchased at the door or in advance at the museum’s web site www.neautomuseum.org. The Dragone Showroom is at 176 Post Road West in Westport, Conn. Teens Turning Wrenches – Summer Auto Technology Program at Brian McMahon H.S. Summer Attractions: LeMay-America’s Largest Car Museum in Tacoma – It’s HUUUGE!!! Cannonball Outlaw Reunion set for June 2 in Greenwich, Conn.
Spring Break! In L.A., the sparkling “new” Petersen Automobile Museum is a must-see for car guys…and there is plenty for the whole family to enjoy! 1968 Concept Car Exemplar I Developed in Connecticut by Bridgeport Brass Co. Climb to the Clouds is returning to the Mt. Washington Auto Road June 26th – 29th, 2014! Mille Miglia. The start the second leg. Copyright 2015. New England Auto Museum. All Rights Reserved.